Discover the Difference that Hampton Roads Academy can make in your child's life. 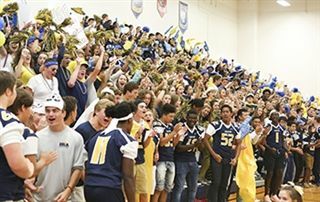 HRA has earned award-winning academic, athletic and arts designations since its founding more than 50 years ago. Today, HRA makes a distinctive difference in the lives of more than 600 students in PreK through grade 12 each year. 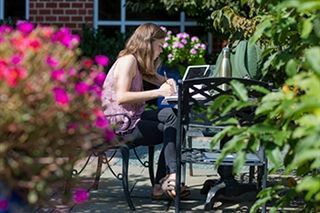 At Hampton Roads Academy you will find an atmosphere of community and learning that is unmatched and unmistakable. We prepare students intellectually, artistically, physically and morally for the rigors of higher education and of life by living within a culture of honesty, respect, and responsibility. HRA students believe in themselves, find value in others, and navigate life with the skills and confidence they need to make a difference in a complex and ever-changing world. At Hampton Roads Academy, we believe that academics and character combine to prepare students to navigate the future with confidence. That future may be graduating from the Lower School to the Middle School or preparing for college. 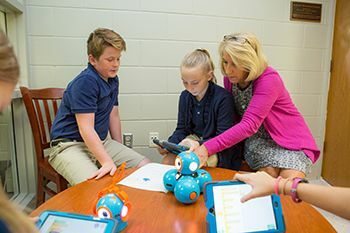 As a college preparatory school where 100 percent of graduates are admitted to four-year colleges or universities, the curriculum is accordingly rigorous. Interscholastic athletic competition is a time-honored cornerstone of the Hampton Roads Academy experience, recognizing the important balance between academics and athletics, and the role they perform collectively in the development of the individual, as well as in the life of the entire HRA community. Through sports, HRA helps teach students to try something new, work as a team, building character and how to practice good sportsmanship. Art. It has the power to transform and illuminate. To educate and to inspire. At Hampton Roads Academy, visual and performing arts programs enrich the lives of students, promoting discipline and critical thinking. All students participate in the arts programs, not only to gain valuable insight into themselves, but to also learn to see and make connections with their surroundings in new ways. There’s no doubt about it. Hampton Roads Academy is the most alive when students are on campus, learning and exploring, making new friends and participating in events. 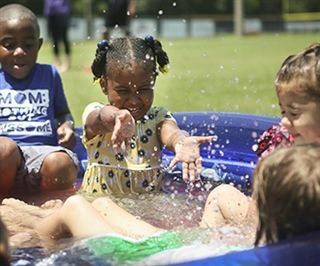 When summertime rolls around, instead of allowing the campus to go quiet, our faculty and staff keep it alive with a robust array of summer camps and. HRA’s summer camps and programs are available to all current HRA students, as well as students in the community who are not yet Navigators. Join HRA for the 12th annual One-Act Festival which celebrates five unique, short, one-act plays featuring HRA Upper School students April 18 - 20 at 7 p.m. The One-Acts are presented in true festival setting with three different performance spaces around campus. The audience will be led to each space to see the performances, which are performed in intimate black box settings. Tickets are $5 students/seniors $10 adults and can be purchased at the door. ©2018 Hampton Roads Academy. All Rights Reserved.